Music Tuition in Ripon - Book Private Music Lessons Online! Use Musician Go to find local music teachers in Ripon, North Yorkshire. It has never been quite so easy to book music lessons online! Musician Go is a brand new website offering the internet's most comprehensive search for music tuition. Helping all musicians find tutors to help realise their musical potential. Whether you play the piano, guitar, drums or violin we can help connect you with music teachers in your area. 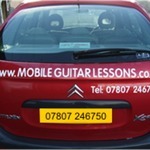 Guitar teacher in Leeds/Bradford. All ages and abilities. RGT guitar teacher. Skype lessons available. Junior youth band teaching from complete beginner in a fun environment. 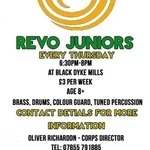 Instrument provided, £3 a week, Thursdays 6:30pm to 8pm, Black Dyke Mills.